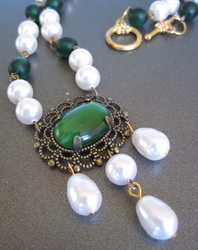 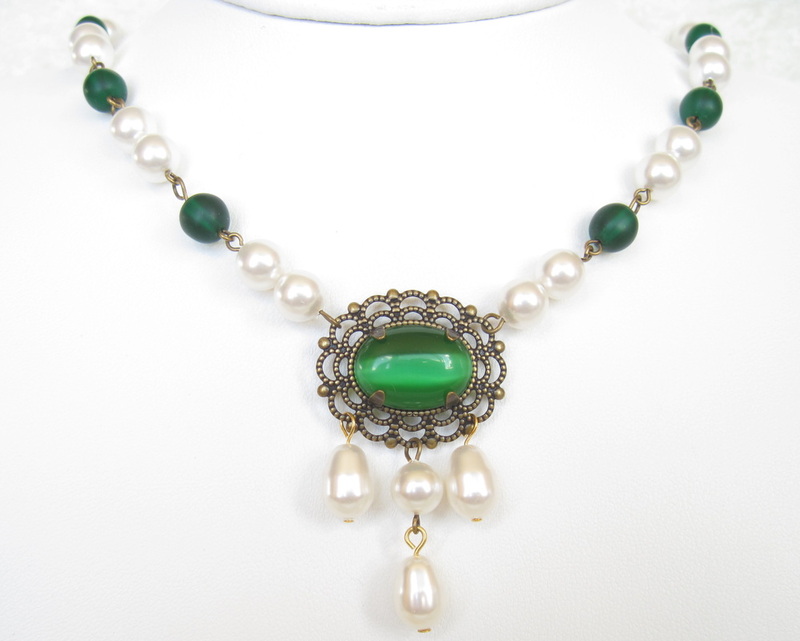 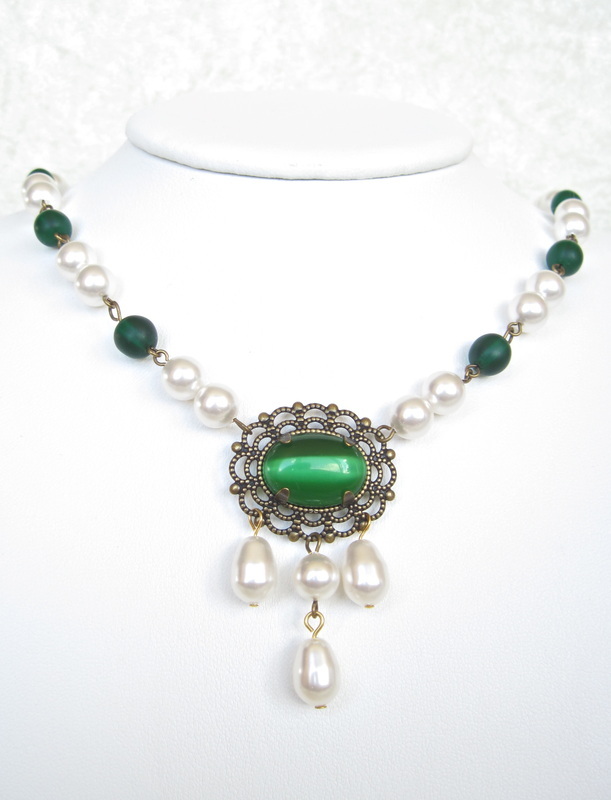 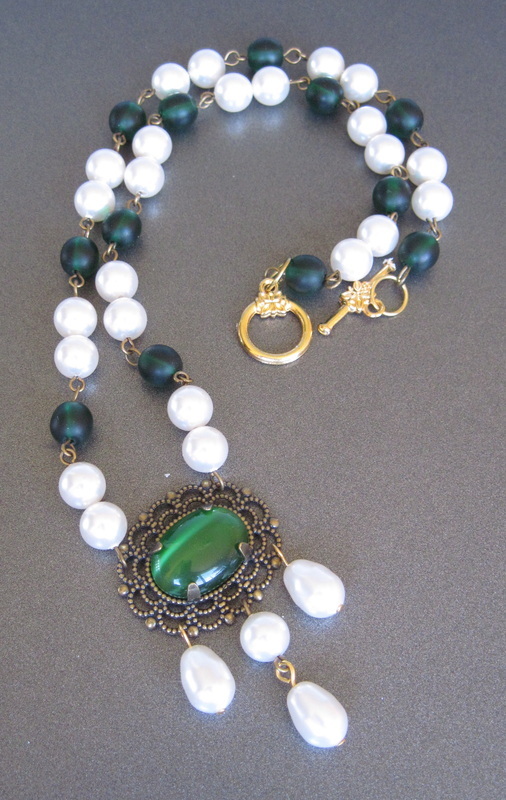 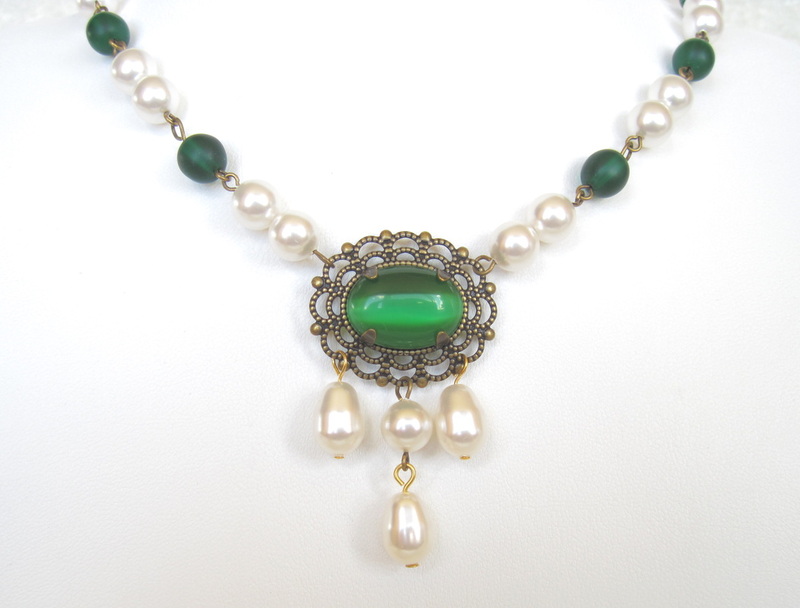 Tudor style necklace set in deepest emerald green with glowing, pure white Swarovski glass pearls complementing a central filigree medallion. Set in the medallion is a gorgeous green cat's eye glass cabochon that seems to drink in the light.This beautiful necklace set will set off your finest RenFaire outfit! 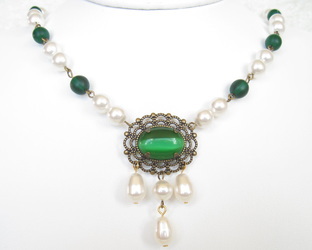 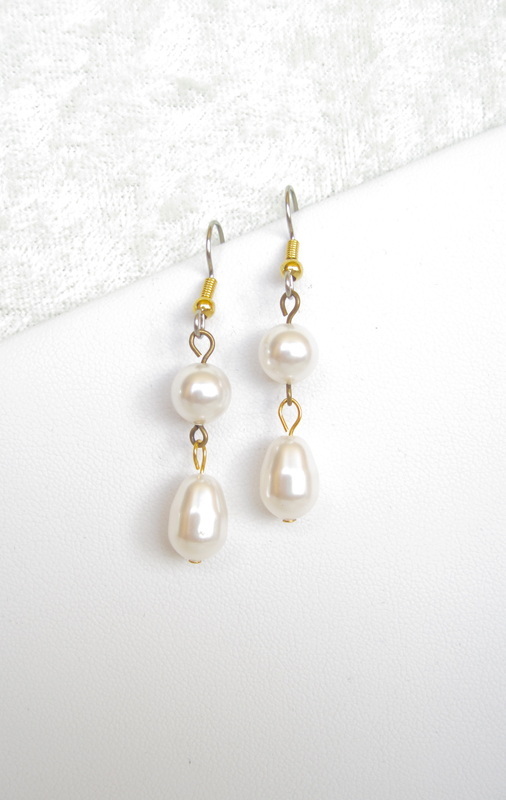 The necklace fastens with a toggle clasp and measures 17 1/2"; the matching earrings dangle an inch below surgical steel ear wires.